An island hub of culture and industry. Skilled skyfarers congregate here, greeted by a gentle breeze. Port Breeze Archipelago is the location for chapters 1-4 and 115-118 of the main quest. A group of islands blessed with bountiful breezes. 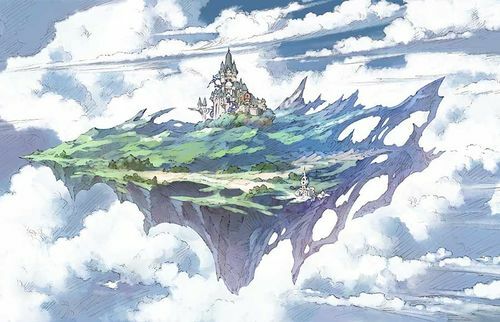 Gentle winds naturally blow across these islands thanks to the power of the primal beast Tiamat, growing the archipelago as a hub for skyfarer orders. The mainland is Eingana Island, and the metropolis at its center is the heart of commerce. Though the archipelago is calm and relaxing, the winds are constant and is considered one of the more chilly locations in the skydom. A shop stocked with everything that a skyfarer could need, from everyday goods to siege weapons. It sometimes serves as a tavern where everyone can get together for a drink or a story. It's said there's nothing that the tiny keeper Sierokarte can't supply. The temple of Port Breeze. Tiamat, the primal beast of the wind, is worshiped as the guardian deity of the island. However, over the last few hundred years, that faith has become quite formal, and deference to Tiamat is vanishing. An old castle nestled in Port Breeze City. 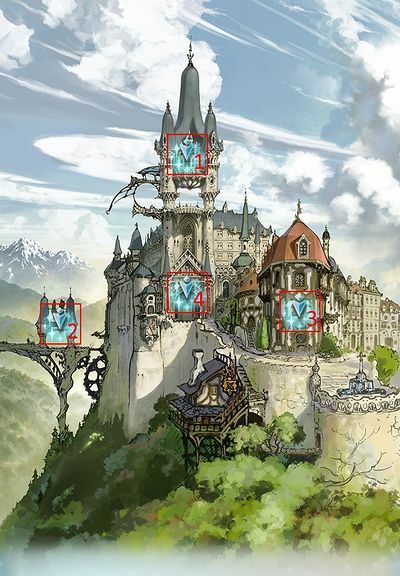 Ungud Castle serves as a control tower, handing out instructions to the airships that approach the harbor. The pier airships use when coming ashore. It's used mainly for the loading and unloading of passengers and cargo. The accuracy with which a helmsman can dock their ship at this narrow structure is seen as a testament to their skill. A plain of rippling green grass. Gentle winds blow across the fertile land, enveloping everything. Katalina and Walder join you at the beginning of chapter 1. Main Character is a Doctor equipping Psycho Syringe, with 13,000 HP. Mirror of Divinity: Use your Star Character in battle for 150 turns. This can be across multiple fights, and must be in a quest/raid that has a result screen. On progress the result screen will show the message "The bond between confreres has deepened!". Grasslands that reach out past town. Somewhere on the periphery, a single ship quietly marks the passage of time. 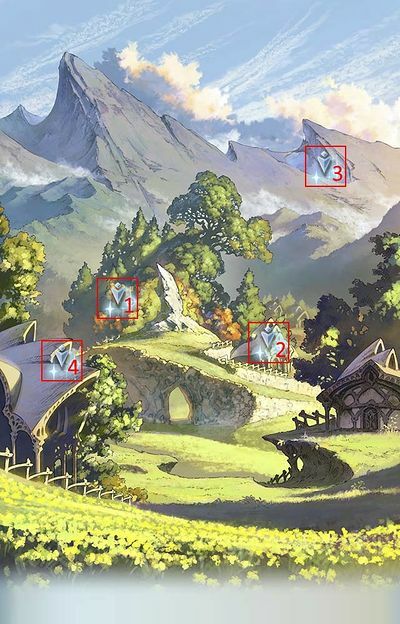 Location: Chapter 2 (116): Port Breeze Archipelago - Angads Highlands (East) Start QuestNetwork Errors will appear if the hosting conditions are not met. ~650 Wind damage to one ally. 6 hits for 220 damage to random allies. ~1000 Wind damage to one ally. 6 hits for ~300 damage to random allies. An endless gorge. In its depths is hidden an emergency escape ship. Cost to Host: 50 AP Unlock: Rank 50+, Obtain Crimson Finger and increase its level to 100. Two-hit Earth damage to random allies.Verification needed. An airship that inspired a young boy to dream. It soars through the skies on wings made of its passengers' affections. You can only host either Tiamat Hard 3 times or Tiamat Hard+ once. 10-hit Wind damage to all allies. for 3 turns on all allies. Only Tiamat Omega Ayr must be killed to complete the battle. is not removed after 1 turn. for 2 to 4 turns. Small Wind damage to all allies and removes 1 buff. 5 hits of large Wind damage to random allies. Unlike other Omega Impossible raids, it's possible to simply focus the main boss down (Ayr) and ignore the adds. Depending on the overall damage of the raid, you may spend many turns under Terror Absolute's debuffs. Plan accordingly. target due to having very annoying/deadly charge attacks. Keep an eye on Nil and Zel's Overdrive gauges as the fight progresses. While they are rarely targeted directly, Warlocks will often use the Hermit EX skill Choke to rapidly farm Honor by striking every head at once. A combination of this and Chain Bursts can push the auxiliary heads into Overdrive and even activate their 50% diamond fill.